With all the negativity facing the Xbox One, it wouldn’t come as a surprise if many gamers have no interest in taking another plunge with Xbox Live for another year. However, if you are a die-hard fan, a one-year free Xbox Live Gold subscription could be yours, granted that you purchase Office 365. For those unaware, Office 365 is also a subscription based Office Suite that gives you an extra 25GB free storage on SkyDrive, along with 60 minutes free Skype credit to call almost anyone around the world. The deal is a part of Microsoft’s back to school offer that runs from July 18 to September 28, so you have a lot of time to make up your mind on what to do next. The deal is only available in 39 countries, which includes the United States and the UK. If you haven’t used Office 365 before, well, it is the same as regular Office 2013, it’s just not for people looking for a long-term commitment. 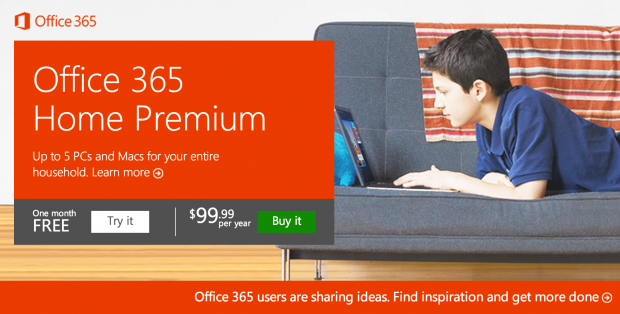 Those who require Microsoft’s Office Suite for long-term use would likely choose to pay full price rather than $9.99 per month for an Office 365 subscription. As a person who gave Office 365 a spin not too long ago, I whole-heartedly recommend it for students and anyone seeking short-term commitment. However, you are welcome to disagree with me.